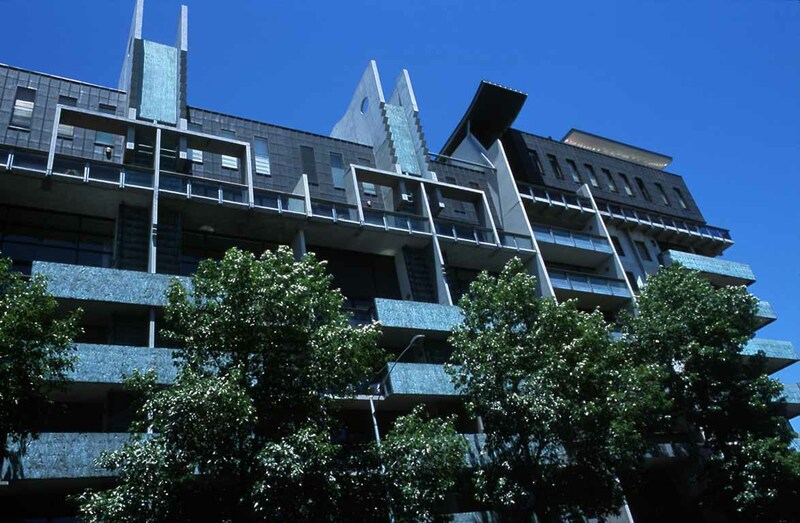 Melbourne Terrace was one of the first in a batch of residential buildings that spearheaded the apartment boom in the central city area of Melbourne in the early 1990s. Promoting the benefits of medium/high density apartment living, it also helped regenerate the city’s northern market precinct. 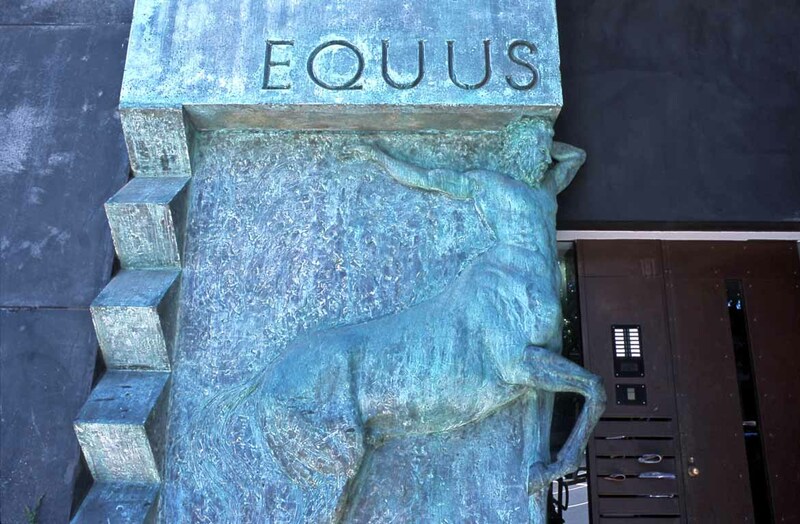 The large building is divided into four sections, each with its own name and entrance: Equus, Mondo, Roma and Fortuna. 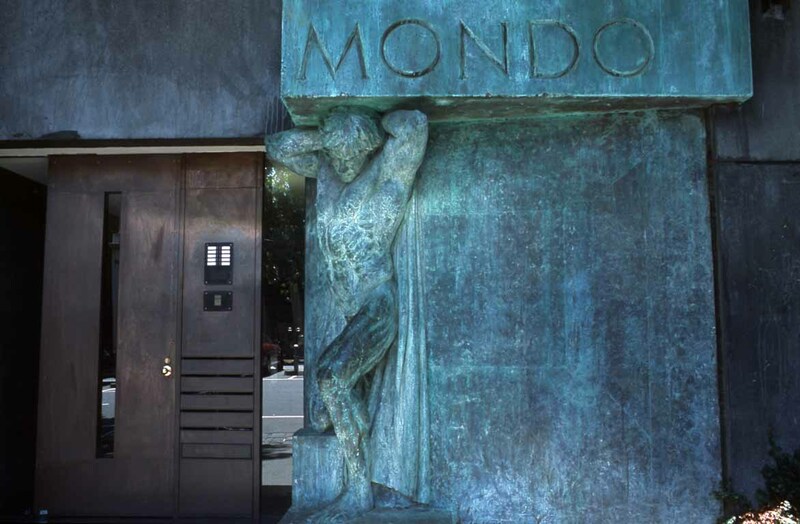 Figurative bold sculptures by Peter Corlett and copper veneered doors highlight each of the four entrances. 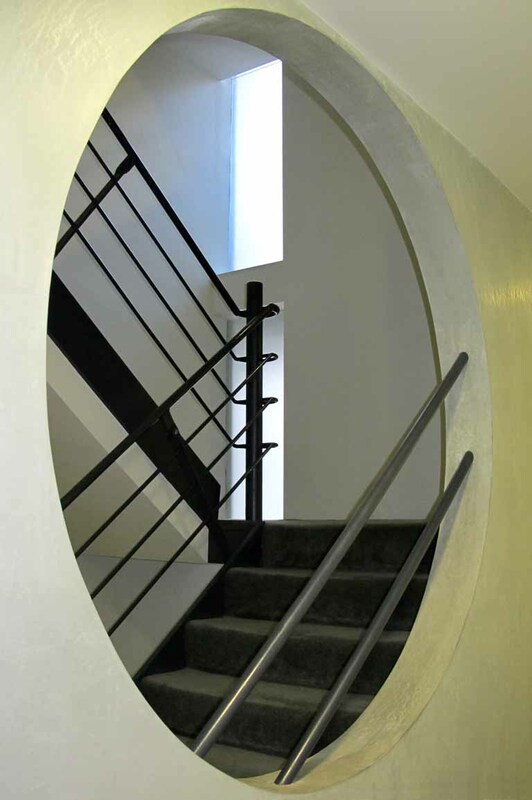 Each section has a northerly aspect, heavy concrete construction (to minimize noise) and individual lifts and staircases are included with each unique entry. A shared car park with its entrance in Anthony Street, stretches across the two lower levels of all four sections of the building. The exuberant building’s façade is made up of copper oxide-etched balcony slabs, copper cladding, mannered window surrounds, serrated edged off-form concrete slabs and a distinct articulated roof line. 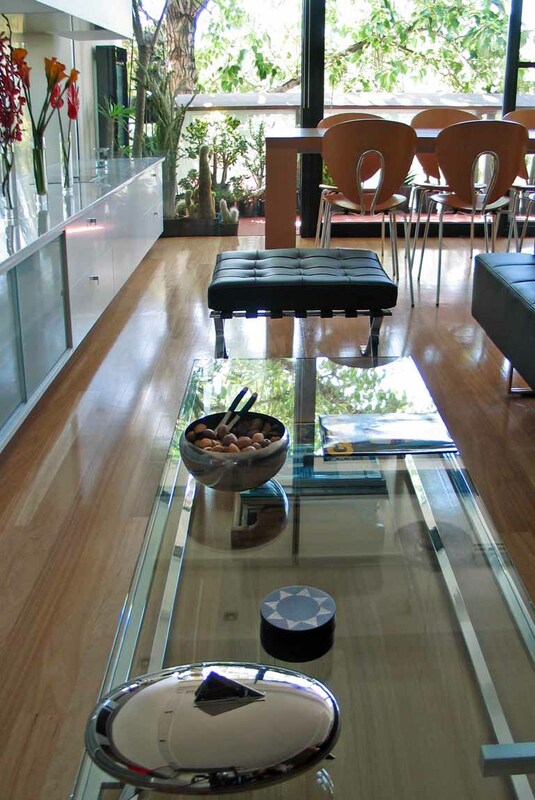 The apartments are all generous in size with ceilings well over three metres high (a Katsalidis signature). 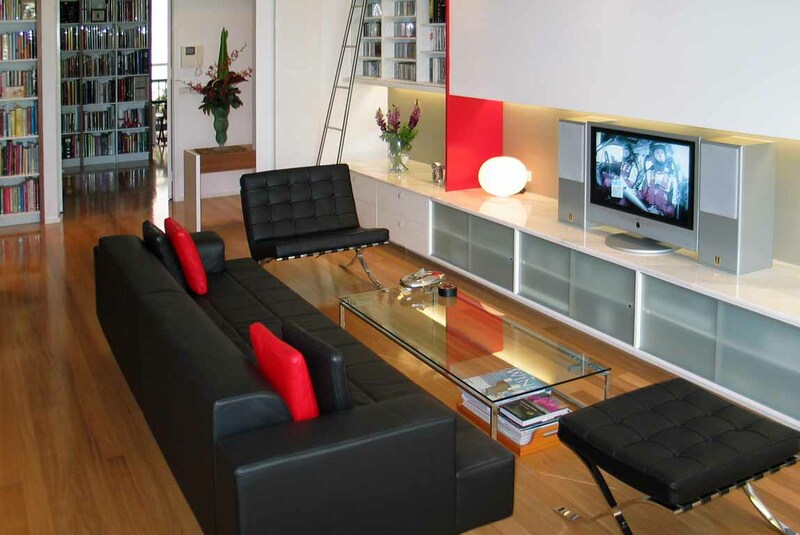 Many are duplexes allowing the apartments to be floodlit during the day and some even occupying up to three levels. 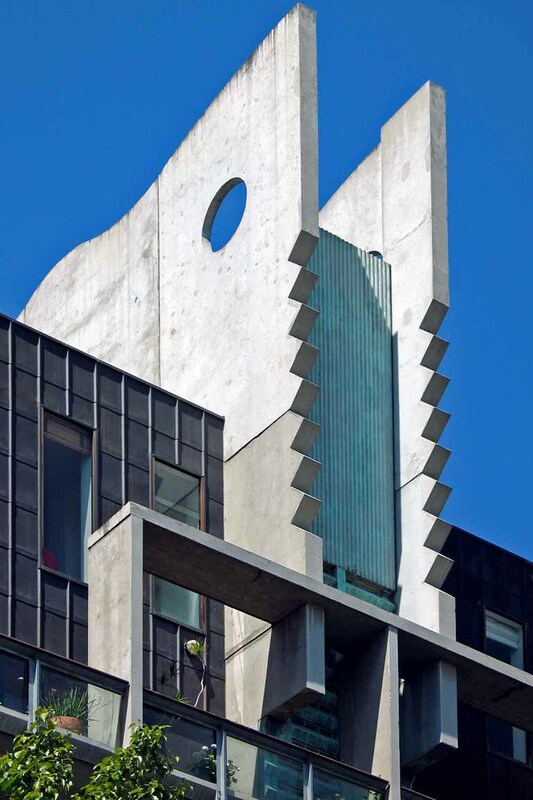 This idiosyncratic styled building is significant as an early outstanding example of the work of noted award winning Melbourne based architect Nonda Katsalidis. 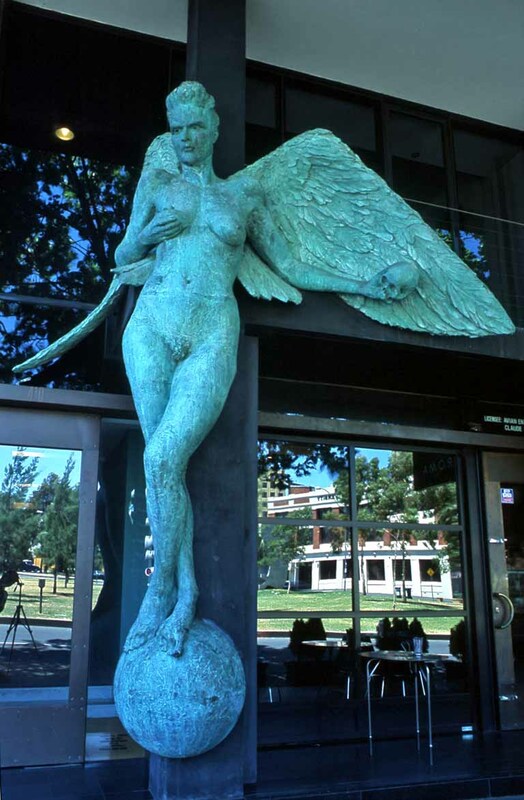 Editor's note: do you have access to interiors of notable Melbourne buildings? 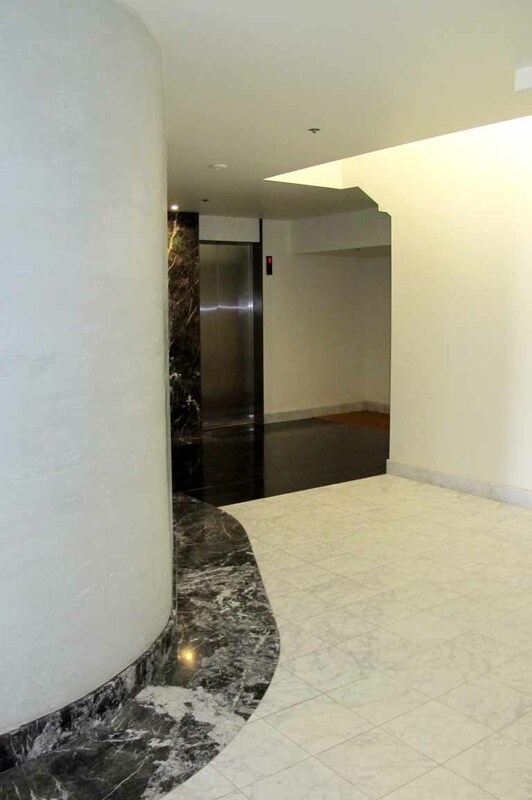 do you want to showcase a building you love and cherish? Use the contact form in the About Us section of the page's footer to contact us and we could have your piece published! Serrated detail at roof level. 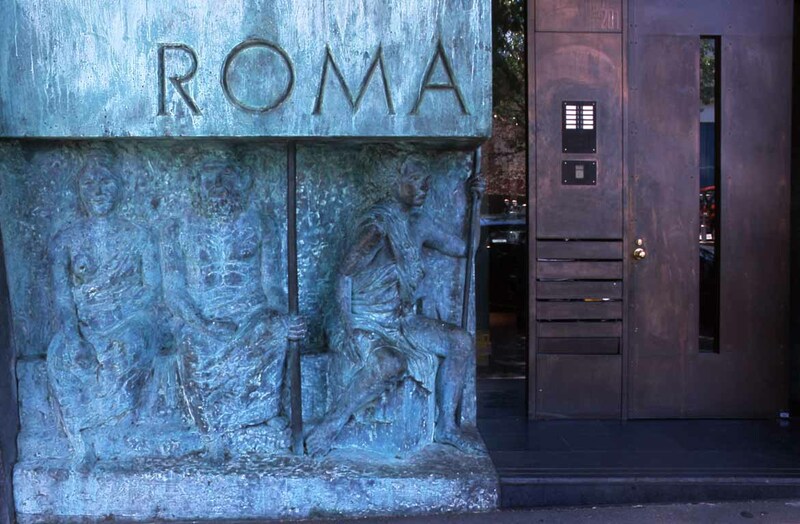 Fortuna, one of the four entrances. Looking up from Franklin Street. Interior of one of the apartments. Apartments are large with tall ceilings.